Tyre Fitting in Portsmouth could not be easier. With TyreFitDirect we can supply and fit tyres to nearly all UK mainland destinations either on one of our mobile vans or at one of our depots. So if you are looking for tyre fitting in Portsmouth you have just found your local online supplier. We fit tyres on almost all makes, models and derivatives of cars and vans and are available either online or on the phone. At TyreFitDirect we pride ourselves in offering some of the best deals on the web. Please peruse our site to check out some of our offers. We look forward to fitting tyres for you in Portsmouth soon. TyreFitDirect, the Portsmouth tyre fitting company of choice. Hampshire, formerly known as the County of Southampton is a county on the southern coast of England. The county town of Hampshire is Winchester, the former capital city of England. Hampshire is the most populous ceremonial county in the United Kingdom (excluding the metropolitan counties) with almost half of the county’s population living within the South Hampshire conurbation which includes the cities of Southampton and Portsmouth. Hampshire has a long maritime history and two of Europe’s largest ports, Portsmouth and Southampton, lie on its coast. The county is famed as the home of writers such as Jane Austen and Charles Dickens, as well as the birthplace of engineer Isambard Kingdom Brunel. Hampshire is notable for housing the birthplaces of the Royal Navy, British Army, and Royal Air Force. Hampshire attracts many tourists and this brings in almost £3 billion annually to the Hampshire economy. 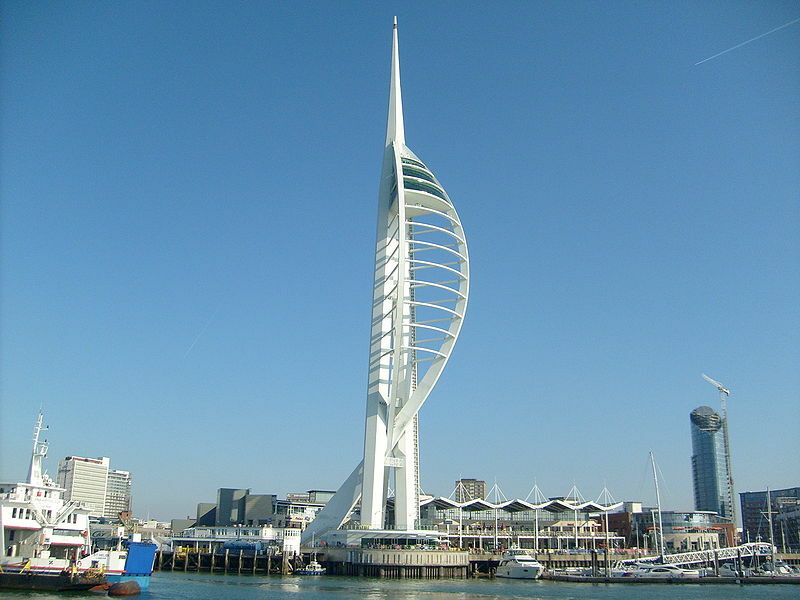 Portsmouth is the second largest city in the ceremonial county of Hampshire on the south coast of England. Located mainly on Portsea Island, it is the United Kingdom’s only island city. Portsmouth is 64 miles south west of London and 19 miles south east of Southampton. The city has a population of approximately 209,200. The City of Portsmouth and Portsmouth Football Club are both nicknamed “Pompey”. As a significant naval port for centuries, Portsmouth has the world’s oldest dry dock and is home to some famous ships, including HMS Warrior, Lord Nelson’s flagship and HMS Victory, which is the world’s oldest naval ship still in commission. The Spinnaker Tower, a striking recent addition to the city’s skyline, is located in the former Vernon naval shore establishment, now redeveloped as an area of retail outlets, restaurants, clubs and bars known as Gunwharf Quays. Among the attractions are the D-Day museum (which holds the Overlord embroidery) and, in the dockyard, HMS Victory, the remains of Henry VIII’s flagship, the Mary Rose (raised from the seabed in 1982), HMS Warrior (Britain’s first iron-hulled warship) and the Royal Naval Museum. The last weekend of November each year the Historic Dockyard host the Victorian Festival of Christmas, which is the largest event of its kind in the UK. Also, like many port cities on the English south coast, watersports are popular, particularly sailing and yachting. The city’s rowing club is located in Southsea at the seafront near the Hovercraft Terminal.